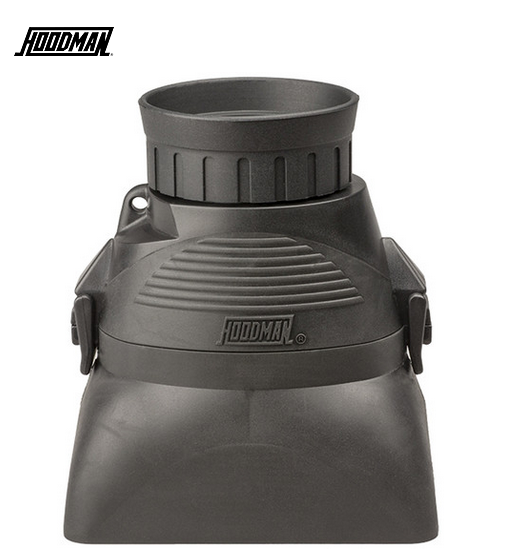 Check composition, focus, and settings on your camera's monitor in bright sunlight with the HoodLoupe Outdoor LCD Viewfinder from Hoodman. It's compatible with all screens up to 3.2" in size. The finder attaches to a HoodLoupe base and then fits right over the monitor to block out excess light. Three glass elements ensure that the image you see through the loupe is bright, clear, and sharp. If your vision is less than perfect, the +/- 3 diopter lets you make the necessary corrections by simply turning the eyepiece in or out. The HoodLoupe is compatible with all of Hoodman's live view mounting plates to allow for hands-free use. As a bonus, a lanyard is included for wearing the unit around your neck. Hoodman Loupe to suit screens up to 3.2"
For Monitors up to 3.2"